Discussion in 'Norton Motorcycles (Modern)' started by TonyA, Aug 10, 2016. Completed Handlebar Risers 1 in. This spacer is an addition to the Norton Factory short aluminum spacer . Save old short bolts for converting back . Torque to factory specs . Glad it worked out for you. Looks good. So I finally finished my Handle Bar offset and riser project . I have some good information to share too. How much of a rise, 2in? Not meant to be different , just comfortable. You can buy higher bars and do the same thing . 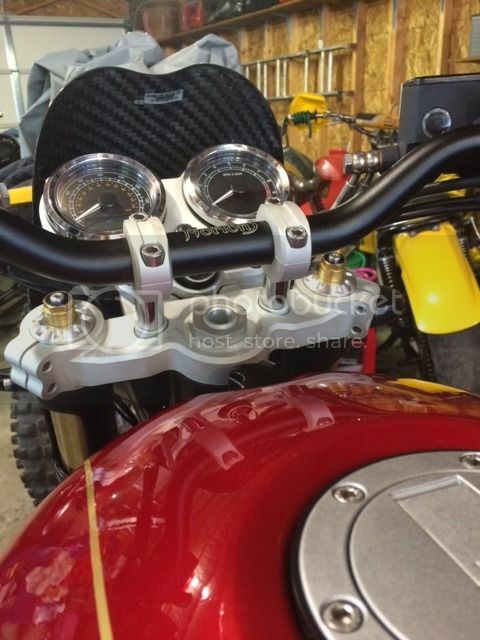 I like the Norton bar bend and look , just needed it to be a little closer to me for those long rides. If somebody needs to order up a set of sport lines , Jim at HEL USA has the information from this project. 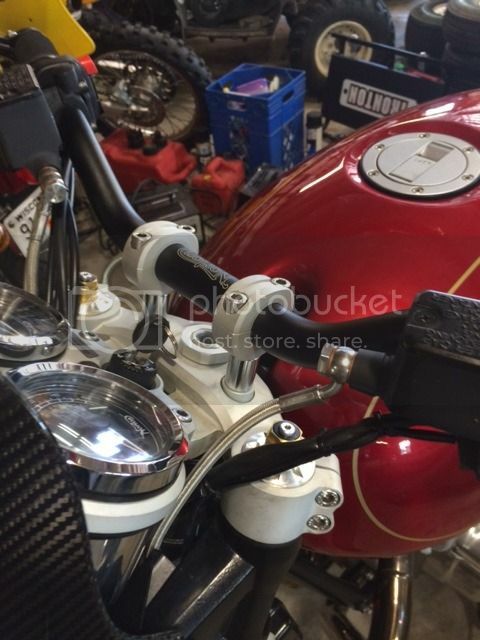 These offset risers are available all over the internet , just punch in motorcycle handlebar offset riser . Very nice, Tony. I like their adjustability. Wish I had seen those before I made mine. Mine work well for me, but with the height and offset I picked, I have to remove them every time I take the tank off, and I'm getting tired of that. Hello lcrken , The real benefit to the other owners now is that they can call HEL USA and get the stock sport dimensions and banjo bends ,. All the owners have to do is add what length increase they want if any. I think that is a real big plus for those seeking to attempt this. 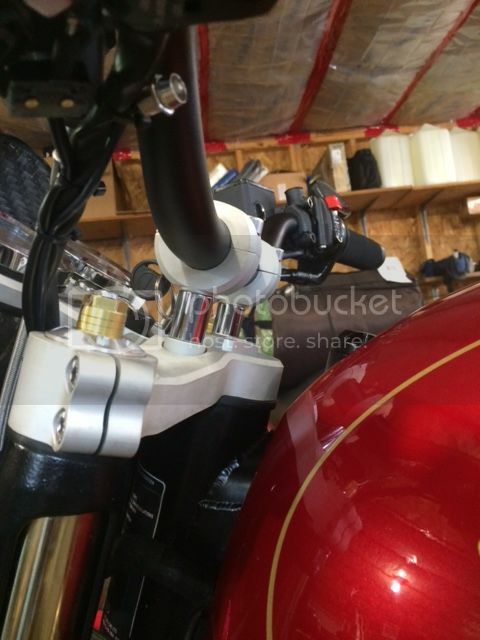 Next time if we can find a nice handlebar we can get rid of the adapter entirely,. Thanks for your kind words , it means a great deal to me if I can help us move forward. I have all the lengths if someone wants them. Question for the collective, for a 1" riser on a 961 can you use the original brake & clutch lines? Or do these need to be replaced? Any issues with the wiring? Your consideration would be appreciated? A 1 in riser is the ablsolute maximum for a Sport or SF . 3/4 in will be safer for the front brake line tightening at full fork extension. You can give a little back by raising the forks in the triple clamps just a bit .